Infectious diseases account for millions of death worldwide and incur tremendous healthcare costs. 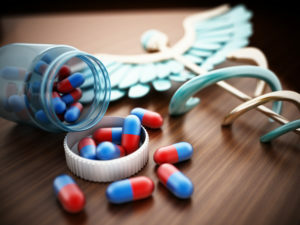 The development of new antibiotics has dramatically declined over the last decades despite the huge clinical need due to the development of multidrug-resistant bacteria. Only in the EU, 25.000 deaths each year are related to drug-resistant bacteria, while healthcare costs amount to at least €1.5 billion a year. Innovation: EARTO member SP develops innovative treatment for diseases such as lung and skin infections based on biodegradable antimicrobial solutions within the FORMAMP project. As a sustainable alternative to conventional antibiotics, FORMAMP will allow more efficient treatments and larger possibilities for local administration of antibiotics, thus reducing hospitalisation period and costs. Impact Expected: Efficient treatments via FORMAMP have the potential to dramatically reduce costs related to infections currently involving some 4 million patients in the EU. SMEs in the consortium are expected to grow in personnel and turnover by developing the first product prototypes. Due to the extensive timeframe of pharmaceuticals products and current regulatory requirements, European market launch is expected for 2028.